The boys and girls of Primary 1 brought a fabulous ‘Noisy Nativity’ to the United Church of Bute on Wednesday 14th December. The whole school joined in with all the songs with such gusto that Rev Jones said the roof nearly came off the church! 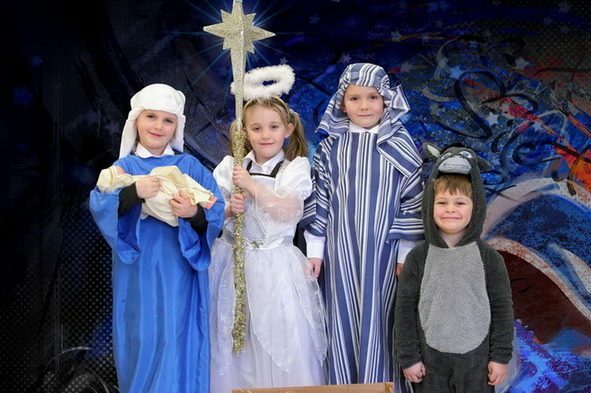 Our P7 narrators helped keep everything on track and we all ooohed as the kings presented their gifts to the baby Jesus. 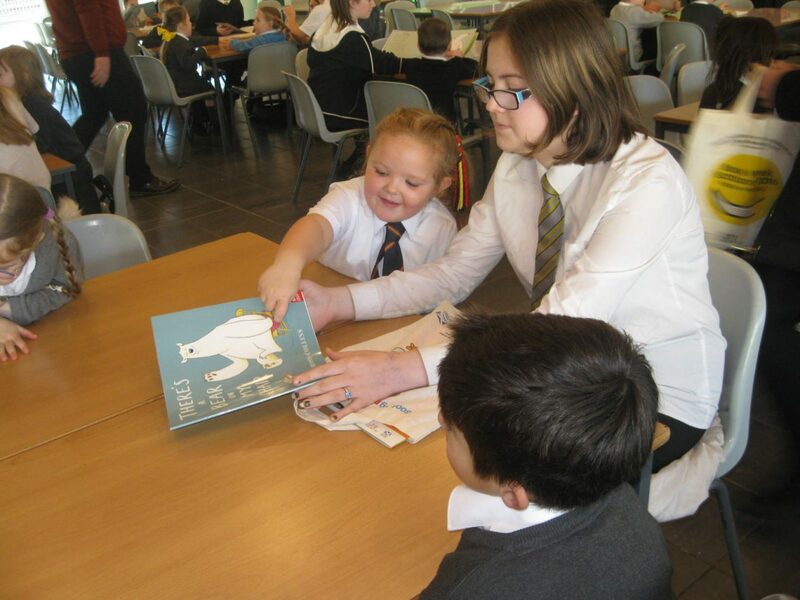 Book Week Scotland at Rothesay Joint Campus This year when the Bookbug Primary 1 Family bags arrived, they were taken away by S2 who planned a series of lessons to bring the books alive. With Mrs Sullivan and Mr Gault to help, the pupils got together to read the stories and do follow up activities to help really understand the characters and the different story lines. 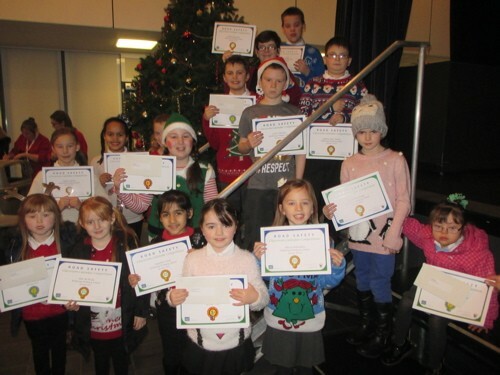 Last week all pupils at Rothesay Primary wrote speeches for their Challenge Homework. The pupils then had to deliver their speeches in class and answer any questions their classmates might have. Topics ranged from holidays, to hobbies, to family pets – Mrs Shaw even met a little black puppy in the corridor after having been a ‘live’ prop! Pupils learned the skills of note making, using prompt cards, ways to use props, how to involve your audience and how to listen and think of questions to ask if you were in the audience. Celebrating Shakespeare at Rothesay Primary Pupils at Rothesay Primary recently had a special assembly because Morven Gregor, the Education Officer at Mount Stuart had some very exciting news to tell us – an original set of 3 volumes of Shakespeare had been found on Bute! Morven told us that a curator had come from Oxford University to make sure the books were genuine – and they were! As usual, World Book Day was a great success at Rothesay Primary. 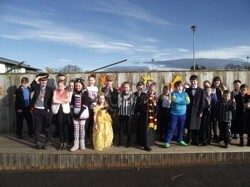 To celebrate 100 years of Roald Dahl, pupils dressed up as one of his characters or a character from their favourite book. We had all sorts – Miss Trunchbull, The Grand High Witch, Charlie Bucket, Willy Wonka and a crowd of Oompa-Loompas! Our local book shop, Print Point, moved into the library so that everyone could spend their book tokens and the school pupil librarians went round the classes sharing their favourite books. 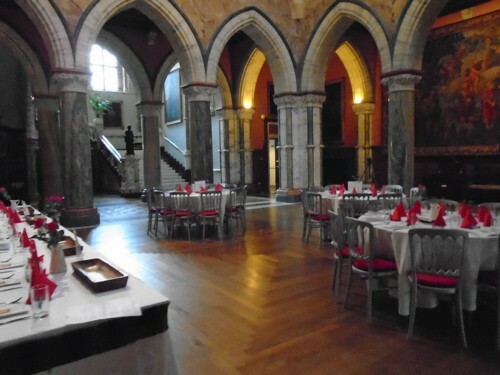 This year, Primary 7 held their annual Burns’ Supper in the beautiful Marble Hall at Mount Stuart. In honour of such an occasion, a feast of talents were performed from The Selkirk Grace to The Address to the Haggis; with every pupil playing a part in this celebration of Robert Burns. 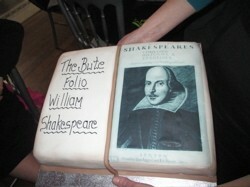 The ‘Bill o’ Fare’ was cooked by our hospitality students and was absolutely delicious! Our guests enjoyed piping, singing and recitals – both from pupils and Mrs Nicol, who was hilarious with her rendition of ‘Tam O’Shanter’. At Rothesay Primary we all love to take part in the Road Safety Calendar Competition. We know that there are lots of entries from across Argyll and Bute and are always very proud when our pupils get a Highly Commended or even win a prize! 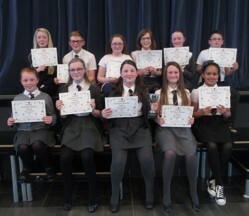 This year was no exception with 11 pupils receiving Highly Commended, two fourth, three second and one first prize! Congratulations to everyone that took part. Christmas Party Time at Rothesay Primary Last week was party season at Rothesay Primary and what fun we had! 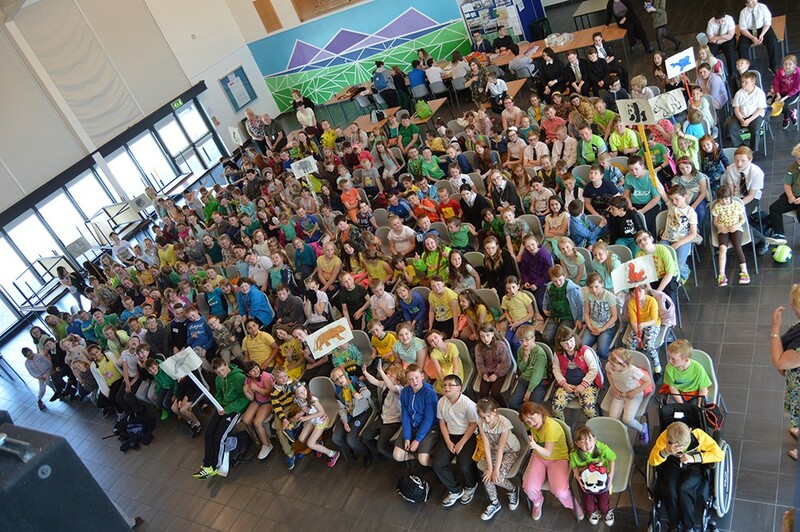 Primary 7 from across the island, came together in the Joint Campus to share their party; they danced the night away at this, their first transition event, as they look forward to starting S1. 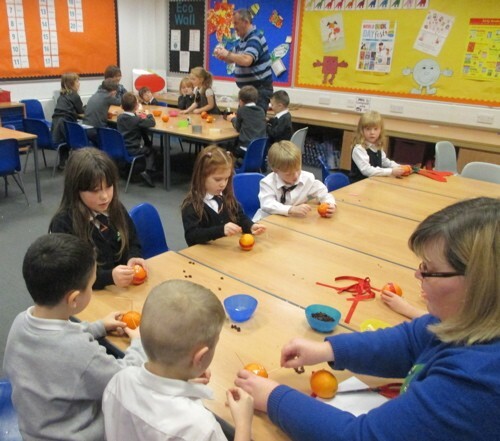 The United Church of Bute visited Rothesay Primary to share the tradition of ‘Christingle’ with Primary 1. Anne McGhie and Stewart Shaw told the children that the oranges were the earth we live on, the red ribbon a reminder of Jesus and the sweets all around to help us remember the good things that Jesus did for us and that we can do for each other. The boys and girls found putting everything together quite tricky but were very pleased with the results (although one or two of the sweets and raisins got munched along the way!). 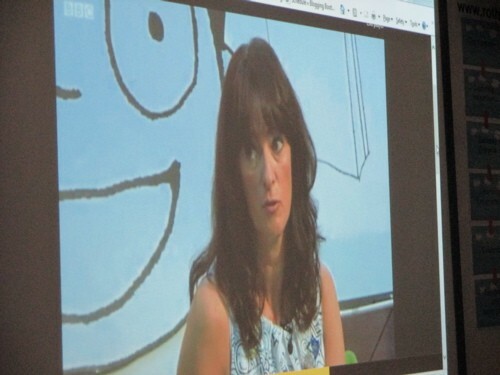 This time round, Authors Live was all about the author Liz Pichon, who is a favourite writer at Rothesay Primary. Ever since P4 opened their book shop last year, Liz Pichon’s books about the school boy Tom Gates have been flying off the shelves – so you can imagine our excitement when we found out she would be on Authors Live! With sketch books at the ready, we listened as the author told us how to draw the characters and patterns. Liz Pichon was even wearing clothes that she had drawn on – her dress, her shoes, even her belt – she looked amazing! Last week Primary 1 welcomed back their Key Workers from Apple Tree and Rothesay Primary Pre5. At nursery, the children had been learning about the ‘Gruffalo’ and had carried this learning on at school, looking at other books by Julia Donaldson. The nursery staff heard all about the ‘Stick Man’ and the ‘Smartest Giant in Town’ and even how to get the fruits of the ‘Flum Flum Tree’. They found out that Patricia at the local library had been helping us find interesting stories and had come into school to read them to us. 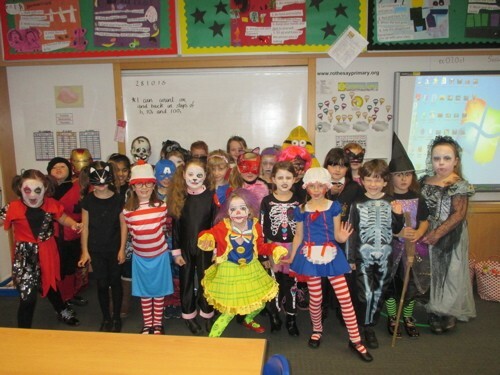 Last week everyone had a spooktacular time at Rothesay Primary. 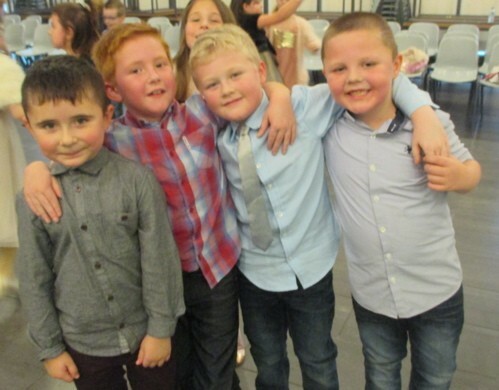 Primary 4 – 7 had a special disco arranged by the Parent Fundraising Group. There was a tuck shop, light up toys, prizes for best-dressed and best scary mover to tunes by DJ Chrissy! The secondary XL Group came along too with special sweetie boxes shaped like coffins they had made for us. Then at 8.00pm the Spooky Corridor opened for those who dared to walk along it (nearly everyone!). Thanks to all the staff and S5 and 6 pupils who were in the corridor – it was fab! 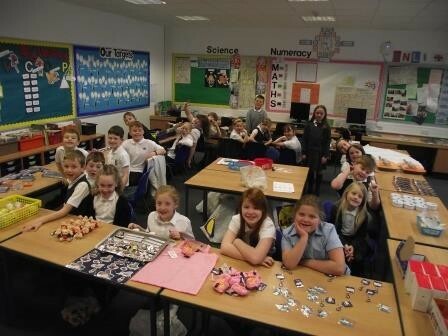 Primary 5/4 at Rothesay Joint Campus held a very successful sale for the RNLI on Friday 23rd October. They raised a whopping £540 for this wonderful organisation. To prepare for the sale, they learned about the RNLI by going to the Tighnabruiach lifeboat station and meeting the volunteers there. It was great fun going on the B-class rib. They also practised their money skills and customer service skills before the big day. The pupils at Rothesay Primary were delighted to scoop a number of prizes at their local horticultural show. They entered peas, runner beans, broad beans, lettuce, carrots, grapes, tayberries, tomatoes, courgettes, cooking and eating apples, pears and giant stalks of rhubarb and won 9 first, 3 second and 2 third prizes! 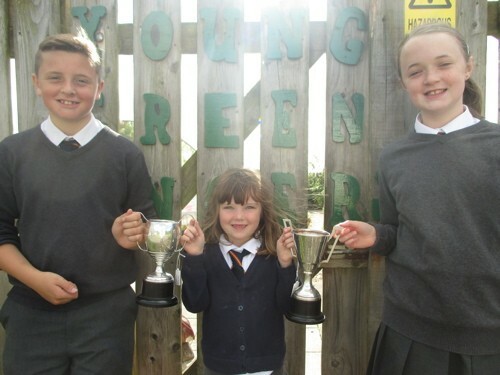 To top it off, the school also won the cup for the best salad display and the schools cup, which they received from Jim McColl of the Beechgrove Garden – the man who helped to build our garden! 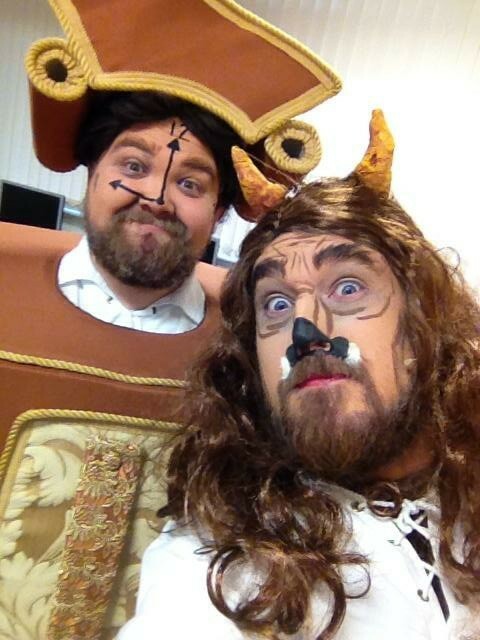 Rothesay Primary and Academy came together in a fantastic production of Beauty and the Beast. Rehearsals began early this year. With performances on 16th 17th and 18th of June. Pupils and staff planned , prepared and performed together under the directorship of Primary teacher Julie Henry. 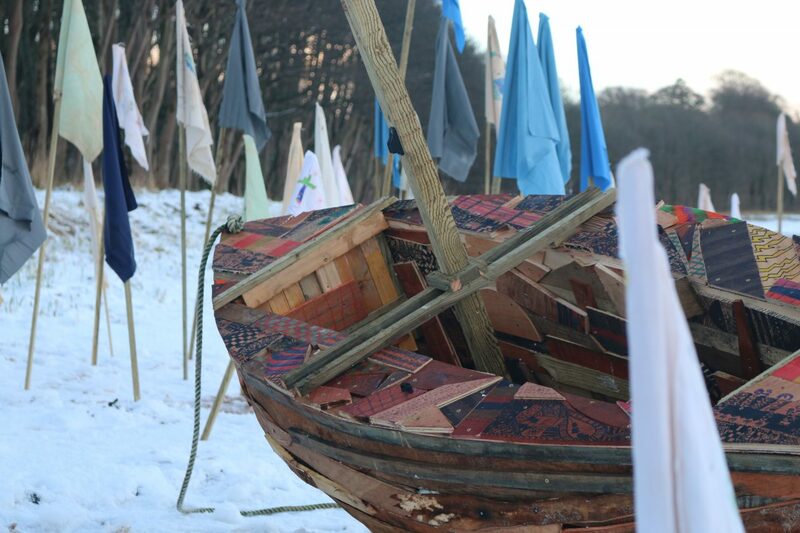 Thanks go to all who helped, Art and Technical departments among many more. 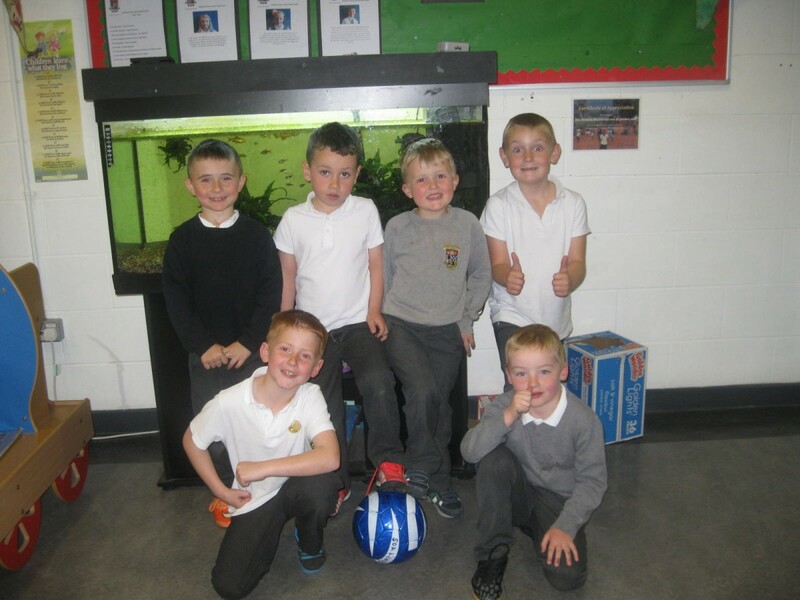 The pupils in Primary 1, 2 and 3 at Rothesay Primary are football fanatics after six weeks of training and skills development through the SFA and the Tesco Bank Football Challenge. Martin Rae was very pleased with how the boys and girls worked across the sessions and the support he had from all the staff. Rothesay Primary thoroughly enjoyed the whole experience and would like to thank Martin for organising a local Festival of Football for us as a finale to the whole experience. Six lucky players also had their footballing dreams come true when they got surprise tickets to the Scottish Cup Final! 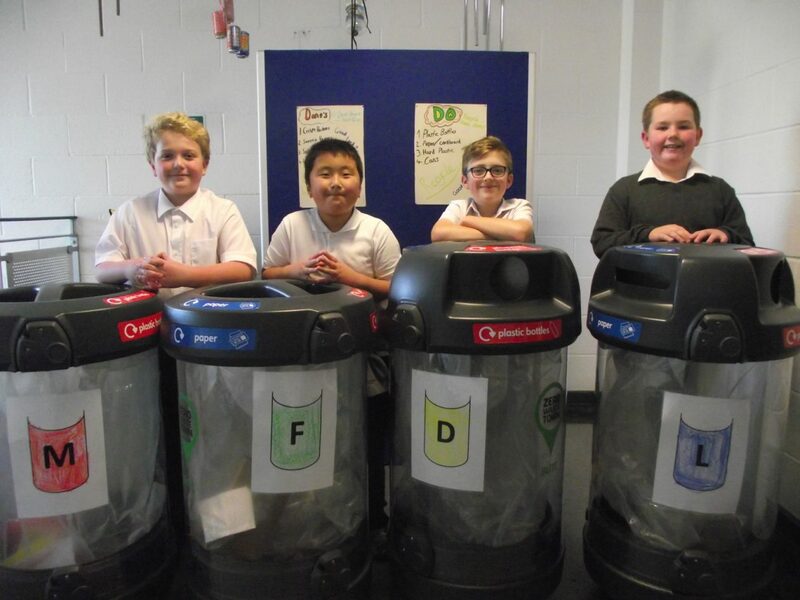 Primary 6/7 at Rothesay Primary School have been working on a top secret challenge over the past few weeks. They have been receiving challenges and tasks from a secret organisation called MSB – Making Scotland Better. 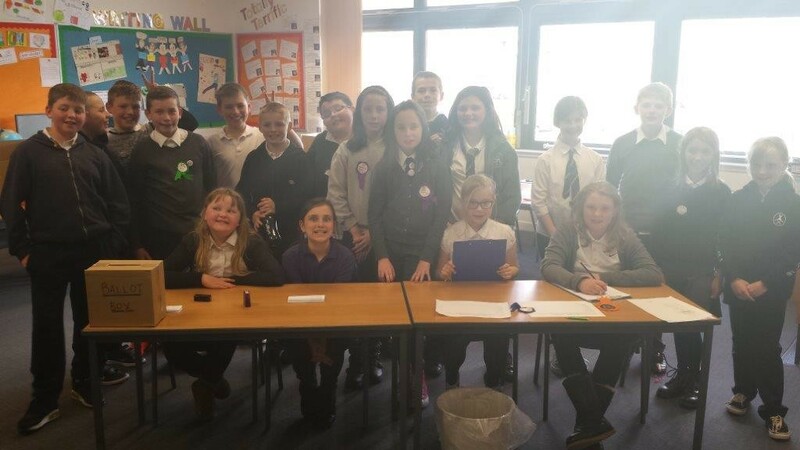 These tasks were to encourage the class to learn about elections and Scottish Parliament, to work with the local community to identify areas of Bute they wished to improve or change and to set up political parties to get these changes put in place.